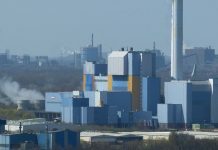 Bristol, UK — The UK has more incineration capacity either currently operational or being built than is needed if the country is to hit the 70 percent recycling target being discussed by the European Commission. Under these facilities which are collectively capable of processing 17.7 million t/a of residual waste, the UK’s maximum recycling rate in 2030 will be limited to 66 percent, says the latest update to the Eunomia Residual Waste Infrastructure Review. Additionally, facilities with capacity to treat a further 14m t/a residual waste have planning consent. Whilst it is unlikely that all of this capacity will be built, it is very likely that some will, further impacting the maximum possible recycling rate. 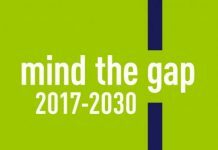 Eunomia has modelled the quantity of residual waste expected to be generated through to 2030 against existing and forthcoming treatment infrastructure to determine whether there is a ‘capacity gap’. The report’s findings indicate that if infrastructure construction and waste exports both proceed as expected, the UK’s residual waste treatment capacity will exceed supply in 2017/18. If export of residual waste is stopped altogether, and no further capacity is built other than that which is already in construction, overcapacity will be reached in 2023/24. In both cases it is assumed that the UK makes steady progress towards current and prospective statutory targets for recycling. The full report is available under eunomia.co.uk.